Are you new to Kubernetes? Want to build your career in Kubernetes? Then Welcome ! You are at the right place. 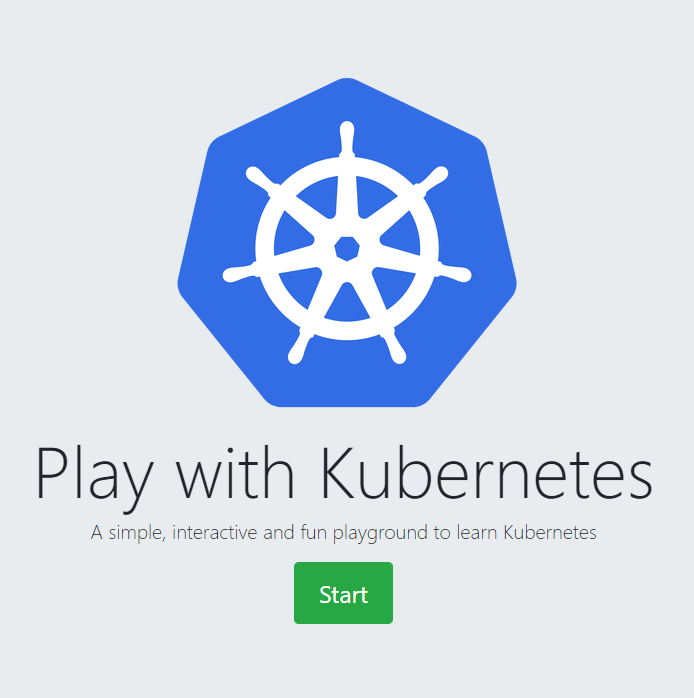 This blog post series brings you tutorials that help you get hands-on experience using Kubernetes. Here you will find a mix of labs and tutorials that will help you, no matter if you are a beginner, SysAdmin, IT Pro or Developer. Yes, you read it correct ! Its $0 learning platform. You don’t need any infrastructure. Most of the tutorials runs on Play with K8s Platform. This is a free browser based learning platform for you. Kubernetes tools like kubeadm, kompose & kubectl are already installed for you. All you need is to get started. Kubernetes (often abbreviated to K8S), is a container orchestration platform for applications that run on containers. Kubernetes is an open-source system for automating deployment, scaling, and management of containerized applications. It groups containers that make up an application into logical units for easy management and discovery. Kubernetes can speed up the development process by making easy, automated deployments, updates (rolling-update) and by managing our apps and services with almost zero downtime. It also provides self-healing. Kubernetes can detect and restart services when a process crashes inside the container. Any developer can package up applications and deploy them on Kubernetes with basic Docker knowledge. At a minimum, Kubernetes can schedule and run application containers on clusters of physical or virtual machines. However, Kubernetes also allows developers to ‘cut the cord’ to physical and virtual machines, moving from a host-centric infrastructure to a container-centric infrastructure, which provides the full advantages and benefits inherent to containers. Kubernetes provides the infrastructure to build a truly container-centric development environment. K8s provides a rich set of features for container grouping, container orchestration, health checking, service discovery, load balancing, horizontal autoscaling, secrets & configuration management, storage orchestration, resource usage monitoring, CLI, and dashboard. 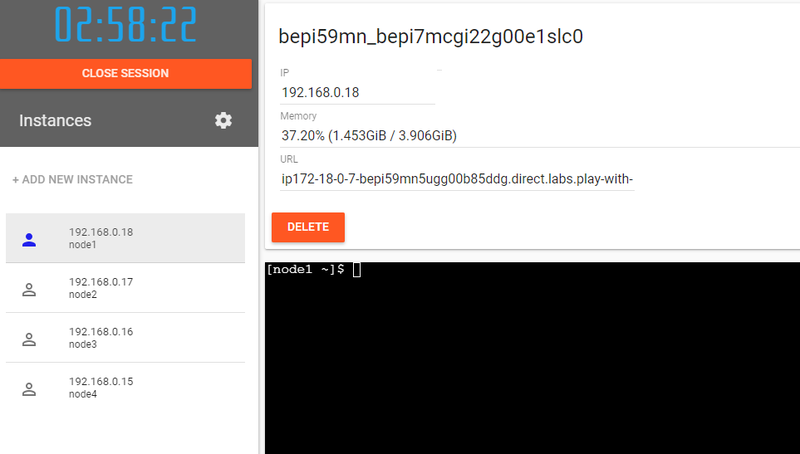 Open https://labs.play-with-k8s.com on your browser. Click on Add Instances to setup first k8s node. Wait for 1 minute time till it gets completed. Copy the command starting with kubeadm join ..... We will need it to be run on the worker node. Click on “Add New Instance” and paste the last kubeadm command on this fresh new worker node. [preflight] Skipping pre-flight checks[discovery] Trying to connect to API Server "192.168.0.8:6443"
[discovery] Created cluster-info discovery client, requesting info from "https://192.168.0.8:6443"
[discovery] Cluster info signature and contents are valid and TLS certificate validates against pinned roots, will use API Server "192.168.0.8:6443"[discovery] Successfully established connection with API Server "192.168.0.8:6443"
In the next blog series, I will showcase how to build a simple Nginx application on top of 5-Node Kubernetes cluster.